While most Second Life You Tubers are focused almost entirely on virtual fashion and avatar poses (near exclusively emceed by avatars in their early 20s), Mrs. Magnolia Mayo stands out in the crowd: Old, cranky, frequently dropping F bombs, always entertaining, she’s an advice columnist for the metaverse, responding to questions sent anonymously to her blog right here. Watch another recent video below, but you’ll probably just want to subscribe and watch them all (some of which are more serious than others). Thanks to Cajsa for the tip! Now while I never watch much youtube in secondlife or about secondlife I found this amusing to say the least. I can’t think of a time I laughed more except back in the Esteban Winsmore days. Lets face it this was annoying but it still showed that having a sense of humor outweighed the drama in the everyday life of SL. Laughter Is Truly The Best Medicine. But do we need more of this? YES! YES! YES! Is VR Likely For Second Life? VR for Second Life™? Hamlet just wrote about SL and VR. See Is Second Life Too Technically Limited To Create A VR Version For It? One of the people that came to SL from Myst Online, Adeon Writer, is quoted and has opined in the article’s comments about what is technically possible. Like most things, anything is possible. But that doesn’t say anything about whether it is likely or reasonable. Both likely and reasonable are generally matters of opinion and the answers are a matter of who you ask. And in matters of opinion, there is generally no final or definitive answer. So, it is a matter of understanding another viewpoint and reasons for their opinion. So, will we have VR or can we have VR? The will and can questions have very different answers… probably. We know we can have VR because it has already been done. So, that answer is out of the realm of opinion. The Lab made a VR viewer for SL years back. Two more VR viewers have been made since then. One shortly after the Lab discontinued their VR viewer. Another just recently. So, can? Yes. As a fact, it has been done. The will question is more complicated. To some extent, it depends on how one defines VR and where one sets the standards. While the ‘standards’ are a more objective measure human factors contribute and often dictate our personal experience and preference. Simulator Sickness is real. Some people can tolerate more and others less. So, we have a ‘how many’ question to factor in. The gaming industry has a set of standards they believe fit the majority, with majority meaning 90%+. On a top of the line gaming-computer, SL can meet the industry standards… mostly. However, the SL user base is not running on top end gaming machines. Only a small percentage are. So, it is fair to say for the majority of users that SL does NOT meet the industry standards. Consider this a strike against VR for SL. But, with time, that will change. Thus the i9 images. Then there is a technical challenge, which is the reason Sansar is being developed. And here we get deep into what VR-users are expecting. VR users want or expect a more immersive experience. Head and hand-arm animation of the avatar is expected by some to be a real-time thing of VR. You move your RL hand and everyone that can see your avatar sees its hand move. Your motions are transmitted to others via your avatar in real time. Even in Sansar, this is not 100% what happens. In SL we are nowhere near it. This is a problem inherent in the way SL was built. Consider the tech. Our avatars move using animations. They have nothing to do with what we the avateers (like puppeteer) are physically doing. The mechanics of the system are simple enough. The viewer tells the server what we are doing, standing, walking, running, etc. 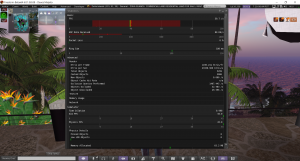 It also tells the server which animations to play for that activity. The server tells everyone else what we are doing and what animation to play. It gives us and them the animation from the asset collection. In SL we are not all in sync. When I walk putting my right-foot forward others may see my left-foot moving forward at that same instant or see me mid-stride. Those synchronized line dances… those are a fluke of how the viewer works. The system literally makes no attempt to sync things up in everyone’s viewer. It just hands out animations and says play as fast as it can. Remember. 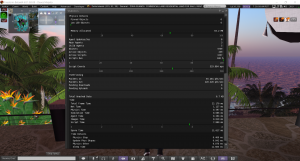 An animation file contains the instructions for how to move each bone of the avatar. So, we can only move in ways that are ‘on file’ and in a specific file in the asset warehouse. Every movement has to be pre-scripted. So, real-time animation anywhere in VR is rare. High-Fidelity, Rosedale’s new project, is attempting to add real-time facial expressions. Sansar isn’t, AFAIK. In SL we have facial animation HUDs that control avatar expressions and no effort to do any real-time animation. In SL we FAKE it, like the news. So, VR… virtual REALITY isn’t likely… for most uses we call VR, not just SL. This isn’t something just SL has a problem with. It is an industry problem. 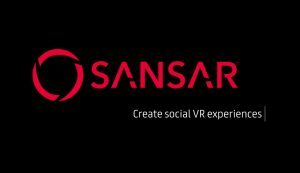 SL may get a simulated VR… we really need a more definitive name for what we see in Sansar and Second Life. We are watching a simulated virtual world via a 3D-rendering-headset we call a VR Headset that in our case, the SL case, has no component of reality. The headset doesn’t make what we are seeing virtual reality, which seems to be how everyone is using the term to hype their products. 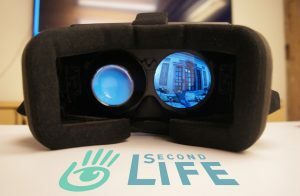 Will Second Life get VR? In the literal meaning of the term, NO. Never… at least not until we get quantum-entangled network cards and more bandwidth. Quantum CPU tech for desktops would be nice, while they are at it. More speed and power are needed. Will Second Life get what I am calling simulated VR? Probably. We are reasonably close now. But not real soon™. The Lab is moving the server-side of the system to the cloud. That opens the possibility of more computer power at less cost. 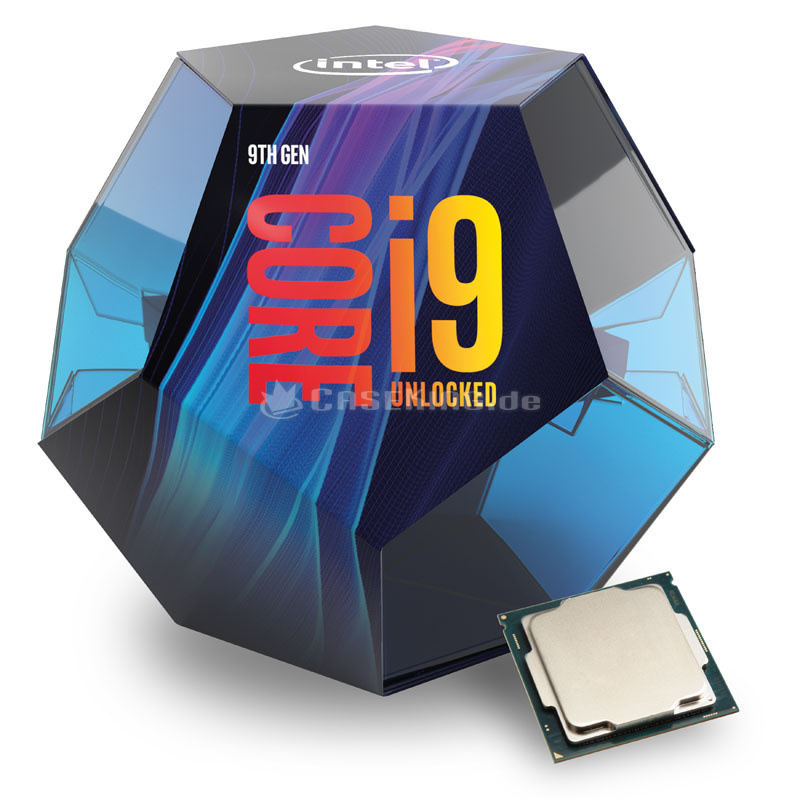 Desktops are currently looking toward Intel’s top gaming CPU the i9-9900k (3.5GHz which overclocks to 5GHz, with 8 cores and their threading thing making for 16 threads using 14nm tech). This year we will see the 10th generation CPU’s expected to use 10nm tech. So, more power and speed are coming. For me the question isn’t will, but when? What is the Password Checkup Extension? Password Checkup is an optional add-on for the Google Chrome browser that helps you identify online accounts that have been affected by data breaches. If you’re not familiar with the term, a data breach occurs when hackers break into a poorly secured website, and steal personal information stored there. Unfortunately, this happens with alarming regularity, and can impact tens of millions of users, revealing some combination of names, addresses, phone numbers, social security numbers, birth dates, driver’s license data, and of course usernames and passwords. That data is bundled up and sold on various black markets online. Dashlane, which offers a popular password manager, published a list of the 20 Biggest Data Breaches of 2018. Among them are Marriot (500 million records including names, addresses, phone numbers, email addresses, passport numbers, and dates of birth); Exactis (340 million records including names, addresses, email addresses, phone numbers, and other personal information such as habits, hobbies, and the number, ages, and genders of the person’s children; and Twitter (330 million plain-text passwords). Going back to 2017, there was the horrific Equifax breach which affected 143 million Americans, and included names, social security numbers, birthdates, addresses and, in some instances, driver’s license numbers and credit card numbers. And those are just the highlights. If you’ve done business with Uber, Verizon, Under Armour, Panera Bread, T-Mobile, Saks, or Lord and Taylor, your personal information may be “out there”. Wherever you sign-in, if you enter a username and password that is no longer safe due to appearing in a data breach known to Google, you’ll receive an alert. Please reset your password. If you use the same username and password for any other accounts, please reset your password there as well. If you get an alert, you should change your password right away, even though password resets are complicated and time-consuming. When it’s time to choose a new password, let Chrome suggest a strong one; right-click while your cursor is in the password box and select “Suggest strong password” at the top of the context menu. If you choose to use the suggested password, Chrome will enter it and save it to your passwords list. where the rest come from or how quickly they are added to the database. But my guess is that they keep tabs on the major data breaches and incorporate that information into their service. Password Checkup addresses the problem of password re-use. If you follow the best practice of using a unique password on every site, you only have to reset one site’s password if your password is compromised. But if you have re-used a password on multiple sites, you probably don’t recall which ones need to be reset. Password Checkup will alert you each time you try to use compromised credentials. So it is of great use in plugging the very common password re-use vulnerability. Google is not the first to market with a password checker. 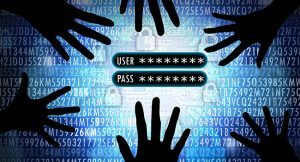 For nearly a year, the 1Password password manager has integrated with Troy Hunt’s Pwned Passwords database, which currently contains about half a billion compromised credentials. Unlike Google, 1Password downloads all of the compromised credentials to each user’s machine. While this avoids uploading a user’s credentials to 1Password’s server, it puts an ever-growing burden on the user’s computing resources. Google, instead, works in the cloud with encrypted copies of user data, so Google never knows what the user’s credentials are. Google’s password manager is free, while 1Password costs about $3 per month for a single user. Google addresses the privacy issue of Password Checker thusly: “Password Checkup was built with privacy in mind. It never reports any identifying information about your accounts, passwords, or device. We do report anonymous information about the number of lookups that surface an unsafe credential, whether an alert leads to a password change, and the domain involved for improving site coverage.” You can learn more about how Password Checkup works. This is the first public release of Password Checkup; even Google admits there’s room for improvement in the future. Making it work with more log-in screen formats is a high priority. I would like the extension to check all of my saved passwords in one batch and show me which ones need to be changed. Some automation of tedious password-reset routines would also be very welcome. But what would really make my day is the elimination of passwords altogether. I long for the day when bio metric or hardware key security becomes the universal norm. Then we will have much less to remember, maintain, and worry about. A lot of progress has been made on the mobile device side, with fingerprint, voice and face identification options. Have you checked to see if your email addresses and/or passwords have been compromised? From all of us on the ZI Staff have a great week. Do I Really Need to Back Up My Files? I’m passionate about making sure that important files — programs, documents, emails, contacts, music, photos, and financial records — are NEVER lost due to a data disaster. My goal was (and is) to teach people how to make backups easily, inexpensively, and automatically. Over the past several years, I’ve received some really great questions about backups. I’m going to answer some of those questions here, but first, let’s get into my list of reasons why you need to make backups. 1) Hard drives don’t last forever. 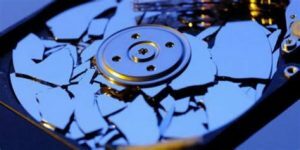 — Studies on hard drive life expectancy show that 22% of hard drives will fail in the first four years, due to factory defects, random failures, and parts that wear out. Failures due to factory defects tend to happen in the first 18 months of service. How old is your hard drive, and how lucky do you feel? 2) Viruses, power surges, and natural disasters happen. — Ransomware is spreading like wildfire online. It will lock all your files, and permanently delete them if you don’t pay a hefty ransom within a few days. Power surges can scramble data or zap files. Fires, floods and F5 tornado’s can tear the stuffing right out of your shiny gadget. 3) Stuff gets lost or stolen. — Even the most reliable hardware and top-notch virus protection won’t help if your laptop, tablet or smartphone falls into unfriendly hands. Only a backup will save your bacon. 4) Mobile gadgets break or get wet. — Have you ever dropped your mobile phone in a dirty slush puddle, or treated it to a wash/spin/dry joyride? I have. Have you ever dropped your laptop, watched it fall in slow motion, hoping that it will survive the fall? Been there, too. 5) Passwords get lost. — You followed the advice of the experts to use unique, secure passwords for your computer and your online accounts. But then you forgot… was it “2Much-L0ve4U” or “2Much-4U-2Love”? Dang it! 6) Accounts are compromised or frozen. — Your password was “PASSWORD” and you’re surprised you got hacked? Sometimes for no discernable reason, people get locked out of their Gmail, Yahoo, AOL, Facebook or other online accounts. Was it a software glitch, a denial of service attack, or did a hacker gain access to your account? You may never know. And without a backup, you may never again see your saved emails, contacts or files. 7) Data breaches are becoming commonplace. — Every week, it seems there’s another high-profile data breach, resulting in millions of usernames, passwords and other critical data becoming public. Equifax, Yahoo, Target, Chase Bank, American Express, Home Depot, Apple, Sony… who’s next, and how will it affect you? 8) Human error. — None of us are immune to the occasional finger fumble, brain freeze, or senior moment. Files or folders may be accidentally deleted, and sometimes you don’t notice until it’s too late. 9) Incorrect assumptions. — I’ve learned that some people just assume that their computer is automatically making backups. If you didn’t do something to make it happen, it’s not happening. And many users who have some sort of backup routine are not backing up the right files, or all the ones that need protection. 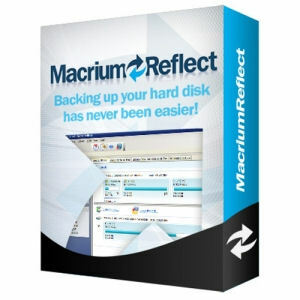 A: My current favorite is Macrium Reflect. There’s a free version which is quite good, and a paid version that adds some extra features I like. Windows 7 includes the Backup and Restore feature, but I find it a bit clunky. If you have Windows 10, the File History feature is a really good option for PARTIAL backups. I used Acronis True Image (paid software) for years, but the recent versions have become bloated and buggy. Lots of people tell me they like EaseUS Todo Backup (also free) but I’ve not used it enough to recommend it. A: Cloud storage or cloud backup refers to files that are stored on an Internet website (sometimes called a server) instead of your computer’s hard drive or other local storage. The term “cloud” is used to create the impression of a giant hard drive in the sky, which provides convenient access to files that reside on the Internet. Examples of cloud storage providers are Google Drive, Microsoft One Drive, and Dropbox. I maintain that data stored in the cloud is MUCH safer than files stored on a local hard drive. Do you use 256-bit encryption for your sensitive files at home? Do you have a staff of highly-trained professionals constantly monitoring your computer for break-in attempts? How about strong physical security that includes gated perimeter access, 24×7 on-site security guards, and security cameras? Do you have a fire detection and suppression system, backup power, and a disaster recovery plan in the event of hurricane, flood or earthquake? You can bet your cloud storage provider has all that and more in place to safeguard your data. It’s probably much easier for the NSA to hack into your home computer than to get into any one of these cloud servers. Some people point to all the high-profile breaches reported in the news, but it’s important to note that none of those compromised companies were cloud service providers, who focus on data security above all else. A: In a nutshell, a full system backup (or image backup) includes EVERYTHING on your hard drive — the operating system, program files, and your personal files. 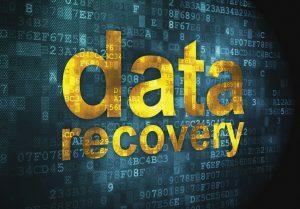 A file backup usually refers to a backup that only includes personal files such as documents, spreadsheets, music, photos, etc. That’s better than no backup at all, but my recommendation is to make regular image backups, followed up with a series of “incremental backups” that catch any changes since the full image backup. A: Yes, that can happen. That’s why I recommend backing up your backup. One way is to have two external drives, which you swap out weekly or monthly. That’s unfortunately a manual process, but I discuss other options in my ebook. I’ve heard lots of reasons for not doing backups. The most common one is “I’ll do nothing and HOPE for the best.” But there’s a problem with that. (Actually 9 problems, see above.) HOPE is the strategy of the fearful, the uninformed, and the procrastinator. In this case, “doing nothing” is almost certain to lead to disaster. BUT… if you knew you could protect ALL your information on ALL your devices with little or no expense, and make it happen automatically, wouldn’t that be great? Wouldn’t it be awesome to have CONFIDENCE instead of HOPE? Other people say “Backups are too complicated or time consuming.” That might have been true 10 or 15 years ago. My first backup system used a tape drive that took forever to run, was prone to error, and was hard to set up. After that, I tried making backups on diskettes, CDs and DVDs. That was a hassle, and I never remembered to do it as often as I should have. But today we have “plug and play” devices that will start making automatic backups as soon as you plug them into your computer. Getting started with an online backup service is almost as easy, and both options can be configured to run at night, or when your computer is idle. Another one I hear often is “Backups are too expensive.” As I mentioned earlier, there are some really good free backup software options, and some clever ways to access gobs of free online storage. 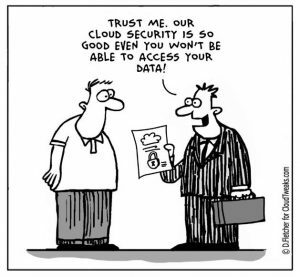 Don’t trust your data in the cloud? A 1-terabyte external hard drive costs less than $50 now. Still too expensive? How about a 128GB USB flash drive for about $20? Generally a clicking sound coming from your hard drive is a Very Bad Thing. It could be a harbinger of horrific hardware happenings, or the drumbeat of data disaster. So my immediate advice is “BACKUP YOUR HARD DRIVE!” as soon as possible. If the drive fails, you’re out of luck. 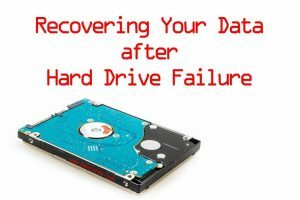 In fact, even if you don’t suspect a problem with your hard drive, it’s wise to make regular backups so you can survive a hard drive failure with only minimal inconvenience. On Windows, you can check your hard drive for errors (and sometimes fix them) by running the CHKDSK utility. To do so, click the Start button, then type CMD, but don’t press Enter. Right-click on the CMD.EXE icon at the top of the search results, then click “Run as administrator.” If you get a User Account Control popup, click YES to continue. When the Command Prompt window appears, type CHKDSK C: /F /R then press Enter. The /R option tells CHKDSK to scan for bad disk sectors, and the /F option means to fix any errors found. You’ll see a message informing you that “CHKDSK cannot run because the volume is in the use by another process. Would you like to schedule this volume to be checked the next time the system restarts?” This happens because CHKDSK cannot operate on the drive from which you have started Windows. Reply Y, then restart your computer. CHKDSK will run before loading Windows, and you may see a bunch of geeky stuff on the screen while it’s scanning your disk. On Windows 8 or 10, you’ll just see a black screen with the Windows logo and a progress indicator. If CHKDSK offers to “convert lost chains to files”, recover lost data, or fix something else, you should accept. (If CHKDSK tries to sell you a cheap Rolex, politely decline the offer.) After CHKDSK finishes, and you’ve restarted normally, you may want to see the CHKDSK results. To do so, click the Start button, type EVENTVWR, then press Enter. This will open the Windows Event Viewer. Click on Windows Logs, then Application. Scroll down until you see the Wininit item in the source column. Click on that line, and you’ll see the CHKDSK log file. Hopefully, you’ll find the phrase “Windows has checked the file system and found no problems” there. If not, the drive may be damaged. But before you trash your troublesome drive, you should try one more thing… Some hard drives are very sensitive to non-level surfaces, and will not function properly if they’re sitting on a slant. Shut down your computer, make sure your system unit is on a flat surface (use a level to make sure), and then restart. I was all set to give up on an older computer that was doing the click/whir routine, but I noticed it wasn’t sitting on a level surface. As soon as I fixed that, the problem was gone! If your computer won’t start, don’t assume that hard drive is a goner. A few years ago, my hard drive got totally mucked up, and nothing I tried could restore the drive to working order. But I found a wonderful program called TESTDISK that was able to analyze the disk and recreate the damaged partition table and boot record. I was certain that all the data was lost, but TESTDISK did the job for me, and the computer was able to start just fine. Sometimes odd noises may come from a cooling fan inside your desktop computer. If you are brave enough, pop open the hood on the system unit, turn on the computer, and see if the noise is coming from a fan. It’s much cheaper to replace a bad fan than a failed hard drive. What is a reasonable amount of total script time for each type of region? The amount beyond which you’d start to see noticeable region performance degradation (sim lag) if we assumed each region on a processor is the same region type with the same total script time? Running scripts is the lowest priority task for the server so it won’t usually affect other functions but that means too many scripts will cause script failures and that can be a problem in itself. It’s also important to note that scripts can trigger lag events. HTTP requests will increase the Net Time, vehicle script are likely to add to the physics time and so on. Also, launching new scripts can cause lag. When an avatar enters the sim, the server has to load all the script it carries with it and that will cause a short lag peak. 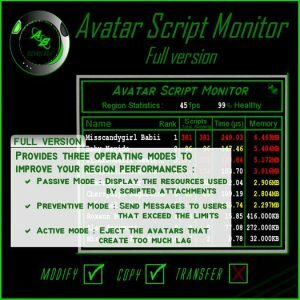 If the avatar is heavily scripted, it may be a very high peak. Usually those peaks are too short to be significant but if it’s a sim where people keep tp’ing in and out all the time, it can become a serious issue. In other words, even though script lag generally is a thing of the past, it’s still a very good idea to try to keep the script load as low as possible. What is a “safe” amount of total script time? Depends on what other tasks the server is kept busy with. If the total frame time is higher than 22ms, it’s an overloaded sim. If the spare time is less than a millisecond or so, the sim is pushed hard enough you must expect occasional glitches but not continuous poor performance. I have to chime in here because there is some misrepresentation of the facts. While it’s true that while running, scripts run in “Spare Time” and won’t impact anyone directly, scripted attachments can still significantly impact a sim in many ways. As mentioned, scripts can trigger other laggy behavior based on what they do. Worse though, is when scripts are “moved” in and out of a sim. When someone TPs, all the scripts in their attachments need to be suspended and “moved” to the new sim. The code, the data, the current state for each and every script needs to be dealt with. There is the network impact of the actual transfer of that data, but also this triggers the Region change event, which will cause new HTTP connections / handles to be created for any script that needs them, etc. There is also the impact that instantiating the script has on the region’s script engine, accepting the data, scheduling, etc. etc. etc. There is a LOT that happens behind the scenes that is completely transparent to you. After all this stuff happens, things settle down and run smoothly again but for heavily loaded avatars it can take several seconds for things to calm down. Meanwhile, everything else in the sim will stutter. This freezing behavior can be seen when testing in an empty sim using an unscripted observer and a heavily scripted test subject, monitoring the region statistics. See what happens when both heavily scripted versus unscripted avatars TP in and out. It may surprise you. Each server only has a fixed amount of real memory (RAM) for each region running on it. Each script takes “some” memory, the more scripts running, the more memory used by those scripts and the less is available to “other” things the sim uses memory for. Once a sim runs out of real memory, it uses virtual memory, which is going to be a crappy desktop-grade SATA drive (cause they are cheap.) This causes the sim to lag horribly as it’s swapping in and out bits and parts to and from the disk as needed to that Very Very slow storage. Once a sim starts swapping significantly, you pretty much have to do a restart. Scripts are not the only cause of low memory here, but they can be a significant factor in a busy sim. There are some venues that will automatically eject people with lots of scripts. What they fail to understand is that by the time they count scripts on someone, it’s WAY too late. The damage is done and the sim is already calming down to be only very minimally affected by the avatar’s excessive scripts. I would NOT recommend those systems. The bottom line though – if the scripts are in stuff on your sim, go for it. As long as they run smoothly, your good. Just be aware that things may start to behave badly when the laggy avatars hit. My advice is to monitor your scripts and the avatars that come to your region. Restarting the region is a band aid in most cases and never gets to the root of the problem FAT AVATARS! that’s right I said it “FAT” I will write more on rendering cost and avatar scripts later on but the fact remains the same while most estate owners deal on a daily basis lag reports 99.9% of the time its due to “Fat” over scripted avatars.